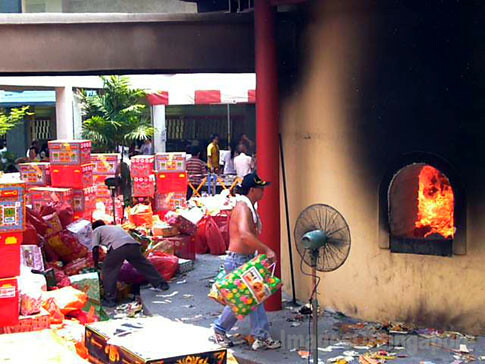 Shown here are two men helping to put the offerings to ancestors into the burner at Pek San Teng during the Qing Ming Festival. It is usually crowded at this Pek San Teng during the Qing Ming Festival or Tomb Sweeping Festival some where around April of each year. 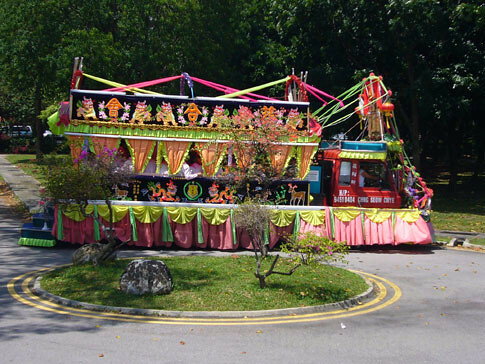 This is one of those decorated lorry for the Chinese funeral procession carrying mainly the bands of musicians dressed in ‘military uniforms’. 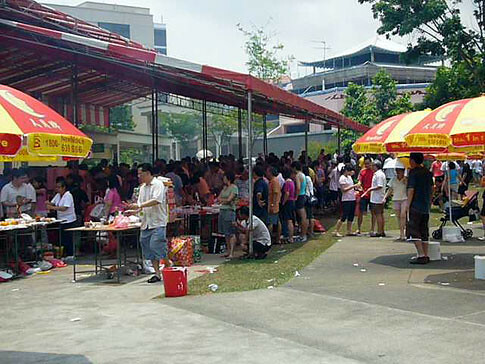 This is a common sight in Singapore. 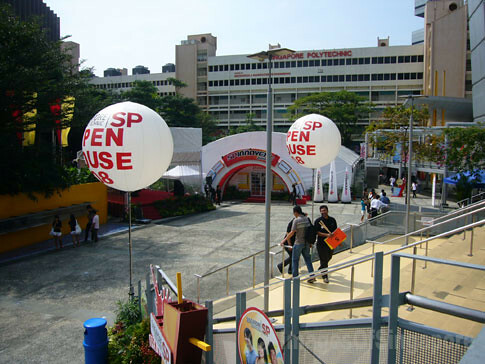 The Singapore Polytechnic Open House 2008.